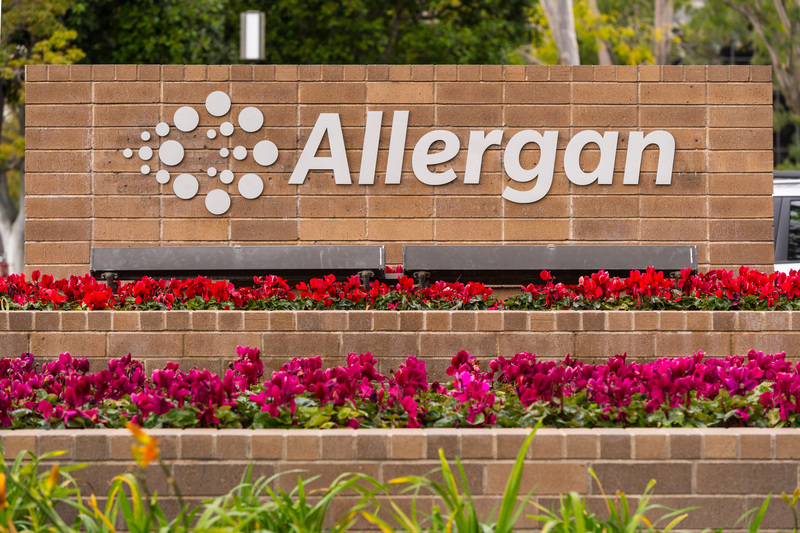 A dry eye therapy designed to compete with Allergan's Restasis failed to reach its primary endpoint in a head-to-head Phase 2a study, according to data released Tuesday. Executives for Aurinia Pharmaceuticals, a clinical-stage Canadian drugmaker, touted the study's successes, which showed its drug, voclosporin ophthalmic solution, beating Restasis on some efficacy measures. Company CEO Richard Glickman said the results build confidence to "aggressively advance" the drug forward in development for dry eye disease, although no specifics were forthcoming on future clinical trials. Investors were not persuaded, judging by the market reaction at least. Aurinia shares were down by about 5% Tuesday morning, trading above $7 apiece. Aurinia's exploratory study tested 100 people with dry eye syndrome, beginning last July. Each patient received either an ophthalmic solution of voclosporin or Restasis (cyclosporine) twice daily for 28 days. The drugmaker designed the study to test tolerability, with a primary goal of showing lower drop discomfort scores for its experimental treatment. Data released Tuesday showed the study missed statistical significance there. In fact, results found voclosporin actually had slightly higher mean discomfort scores than Restasis, although that was not statistically significant. Glickman said on a Tuesday call the company had chosen the wrong hypothesis to test — pivoting focus to some of the study's secondary endpoints that showed voclosporin besting Restasis on certain efficacy scores. The experimental arm did statistically beat out those receiving Allergan's drug on measures of tear production and reducing structural damage to the cornea. While company execs depicted the results as reaffirming the drug's path forward, the market reacted negatively to the news after up-and-down pre-market trading. Moving forward, a key question for Aurinia will be if these efficacy results can hold up in a trial with significantly more patients and a longer timeline than four weeks. Additionally, the Restasis arm had consistently worse baseline measures than the experimental treatment on average, according to the data released Tuesday. The typical patient assigned to Restasis had more severe and frequent symptoms. *Higher scores indicate a patient with more severe symptoms. In a presentation, company slides called the study population well-balanced between treatment arms. An Aurinia spokesperson said there is no statistical difference between the two groups with respect to baseline characteristics. Leerink analyst Joseph Schwartz called the results "highly encouraging" in a Jan. 22 note to investors, saying he believes the efficacy data overshadowed the tolerability miss. While there are multiple dry eye treatments on the market, Aurinia is hoping it can carve out its own slice of an estimated U.S. patient population of 16 million. In addition to Restasis, the Food and Drug Administration has approved Takeda's Xiidra (lifitegrast) and Sun Pharma's Cequa (cyclosporine ophthalmic solution). An additional wrinkle could emerge if generic versions of Restasis enter the market. Allergan recently appealed to the Supreme Court to defend a controversial legal strategy for protecting the drug's patents, which involves licensing them to a Native American tribe and claiming tribal sovereign immunity. Generic versions of Restasis were expected to enter last year but have been delayed, and analysts expect copycats to come to market soon.